Contemporary brushed aluminium bulkhead style lantern. 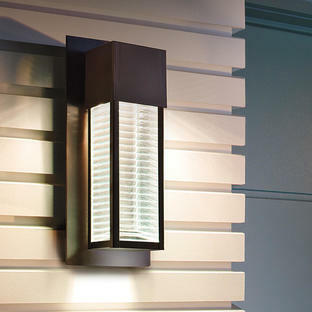 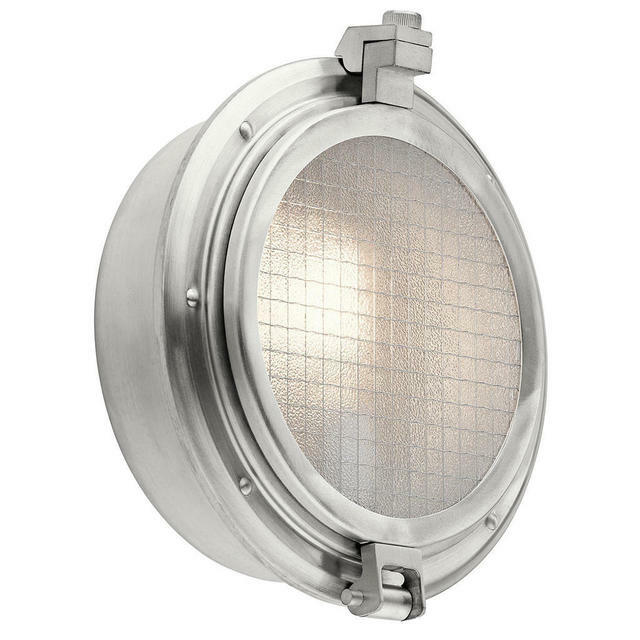 The Clearpoint outdoor wall lantern in a brushed aluminium finish features classic porthole styling. 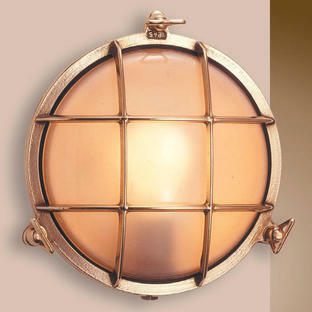 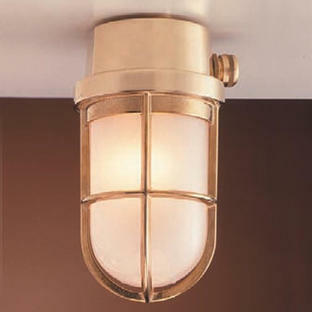 The light gives out a warm inviting glow through its Wire-Mesh Clear glass.